Flowers By Angie has been serving Lexington and surrounding area for many years. Our highly-trained customer service staff is ready to assist you with placing orders for local delivery or anywhere in the world. Not sure of what to send? We'll gladly help you with creative suggestions! One of the hallmarks of Flowers By Angie is our unsurpassed customer service! Whatever the occasion, let our talented designers create your fabulous floral arrangements. At Flowers By Angie, you can choose from several traditional floral design styles that are perfect for everyday…birthdays, get well, anniversaries or just thinking of you. 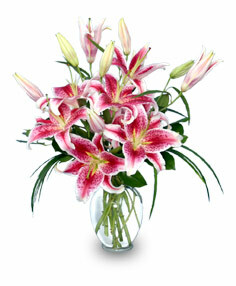 At Flowers By Angie, we deliver the freshest flowers and brightest smiles! Call us today! When you’re looking for something special, Flowers By Angie has just what you need! Browse our assortment of green and blooming plants for a wonderful gift for anyone on your list. Ask our staff about customizing your sympathy floral tribute for a special friend or loved one. What about wedding flowers? Call us in advance to set up an appointment with one of our expert wedding planners. Consider sending a fruit and gourmet basket from Flowers By Angie – a fantastic gift for any occasion. Don’t forget our vast selection of gift items, including silk and dried arrangements, greeting cards, balloons for all occasions, and plush. We specialize in corporate party planning. Flowers By Angie is conveniently located at 828 Lane Allen Road in Lexington, KY. We are open to serve your floral and gift giving needs from Monday through Friday 9:00 am to 5:00 pm and Saturday 9:00 am to 12:00 pm. Flowers By Angie delivers to all local hospitals and funeral homes.